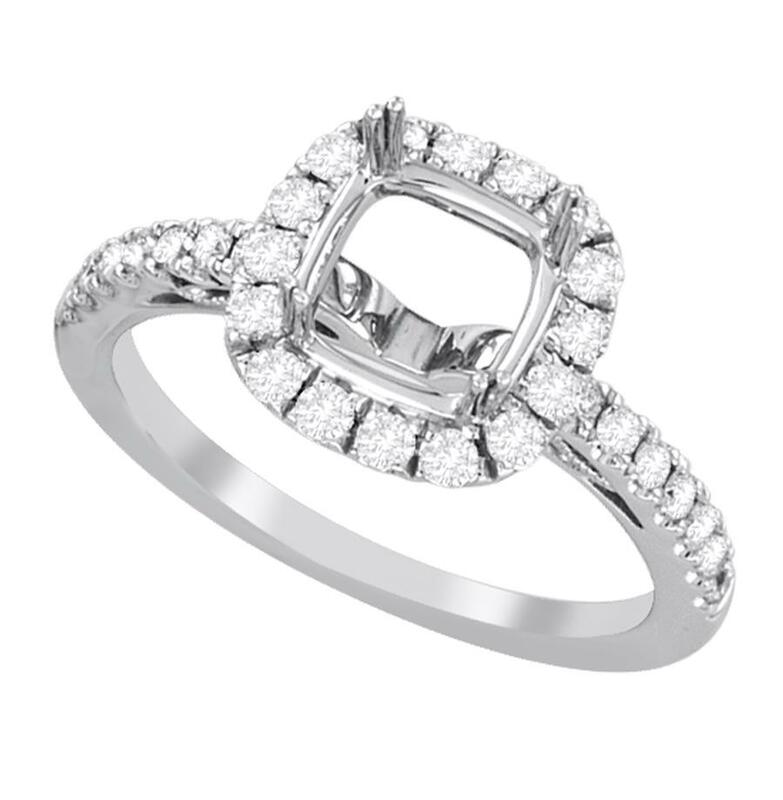 Cushion Frame Diamond Halo Semi Mounting with Diamonds on the Shank. Semi mounting accommodates 5.0x5.0mm cushion diamond. Filigree design on shank. Fits flush to Matching Band, BT2377-W.